The product is very very concentrated and worth the $$$! Compared to other similar products, the price is very reasonable. Doesn’t get “used up” as quickly, so even better value! The “before and after” testimonies all over the web (esp. FB, instagram) are impressive. It’s a great anti-aging assist because of hair regrowth in both men and women. Easy sell, women are vain and even men! Don’t discount a new biz making millions in its infancy! SAME ISSUE as others!!!! They are horrible to work with, horrible wait time on phone, horrible customer service, horrible response online! Great products, awful customer service. I received some samples and fell in love with Monat so I decided to order some on January 30th. I received my shipment within a few days but the conditioner was not included. I emailed the company a few days later asking where my shipment was, to which I received a response 5 days later saying more would be shipped out the beginning of that week. Here I am, almost one month later and I STILL do not have my conditioner and no idea when it will be coming in. I’d love to start using my products but I can’t without having my complete kit. Very frustrating to pay so much and not get adequate service. Jessica I would be happy to assist you if you have any questions. Monat is definitely the best option to achieve healthy, stronger and beautiful hair like you’ve never had before. And great business! Hi Jessica! How did you enjoy the sample? In case you haven’t found a Market Partner to purchase products from feel free to visit mine and my husband’s website bertcording.mymonat.com, would love to help you out! So, this was 2 months ago, any update? Did you order? Did you sign up to sell it? I sell MONAT products directly from MONAT. I am more than happy to help you get a lower price. You can email me at dalteri@mainehospital.org, or find me on facebook at http://www.facebook.com/daniellealteri. Does the IRT Shampoo and IRT Conditioner actually cause hair growth or are they just good for your hair and just the IRT Spray caused hair growth? In other words would the Renew Shampoo and Revitalize Conditioner work just as well with the Spray for hair regrowth? How exactly does the product satisfaction or money back guarantee work? I’m using Monat now. My results are amazing! Nothing like it from what I’ve ever tried. My hair is exactly how I want it to be. I highly recommend it. If anyone has questions feel free to contact me. a friend of mine is selling it so she gave me several samples to try. I’m 55 years old, in menopause, my hair has been falling out like crazy! It’s very curly and I’ve used it two shampoos in a row now and my hair has not been this soft for a very long time. I’m excited to see how it develops over the next month or two. Yes keep me posted @nevaburgesscrawford:disqus I just got back from Maui, Hawaii so my order is on its way I am looking forward to testing the Balance set. Just an update the person who was going to send me a sample never ever sent it. 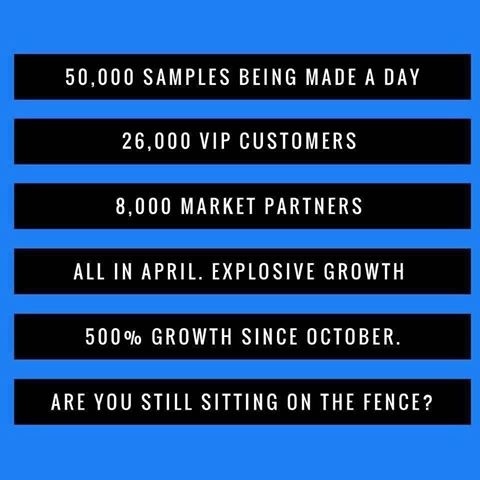 Not a good sign of distributorship, I know when I tell a potential customer I will give you a free sample I follow it through, I don’t like that people say some thing and don’t do it. I appreciate the frank review here! I was looking at Monat strictly for quality hair care because my hair is highly processed (right now it’s purple and teal). I decided to become a Market Partner because the products worked so well and there is a wide-open marketplace for hair care in direct selling. Anyone looking for information on the business or products may contact me at taylor.amye@yahoo.com or visit my website at https://amytaylor.mymonat.com. Thanks! They don’t answer their customer service line! They lie about free credits when you sign up 3 VIPS, they said you get free credits when three VIPs sign up under you, then don’t give out the credits, or said you need to call in the get them and don’t answer the phone! I was on hold for TWO HOURS today! That is extremely POOR CUSTOMER SERVICE! This is starting to look like a SCAM! Be careful people, they only care about sales and have ZERO focus on customer service, that’s a disaster in the long run! If things don’t change real quick, this company is doomed, don’t quit your day job! Customer service takes a lot of time to respond because a lot of people call, Monat is growing so fast they couldn’t handle it but they doubled their staff last month, it should go smoother in the next few weeks, you can go to your sponsor to get help, you will have your credits, just be patient. And my husband who is balding for decades have his hair growing back!! After testing the products i decide to do the business and i love it!! I live in Quebec and speak french, if you need a french speaking rep, i’m there to help. Why is that? Are you Ace and Rich or are you Aaron and Shara? Or are you one and the same? Interesting…this is not the first time someone swiped copied off of our writing. It could be because the Pro and Cons are similar but from the beginning to the end the verbiage is my own so we are two different people and I don’t know them. Monat Global is a scam. They sent me an email Sep 18 telling me my auto ship date & when I changed it 19 Sep. – 3 days before the deadline (Sep 22) I was still billed & shipped product. I asked for a shipping label for a return & was told I would be given a full refund since I was within the deadline, but never got the email with the shipping label. After calling Customer Care I was told a Supervisor had refused my refund. I told the rep to cancel my account, she gave me a confirmation number, then I get an email stating that my “Order” had been cancelled, not my account. On the Better Business Bureau website there are several stories just like this. I had to cancel my CC in order to stop this nonsense. I have filed a complaint with the Attorney General’s office in Florida, as well as filed a complaint with the Federal Trade Commission. Anyone with similar experiences needs to do the same & stop these crooks. I’m having the exact same issue. I have sent 4 emails to their supposed support address and also have called and been put on hold for up to 30 minutes. I have never been able to reach a person. The very worst customer service I have ever encountered. I will be filing a complaint in MN as well. I have been trying to cancel my account, too. I spoke with the Attorney General’s office in Florida where they are based. I had a return phone call from an agent telling me the complaint will be investigated. I was also told to notify & file a complaint with the Federal Trade Commission, since they do business in other states besides Florida, meaning they cross state lines in commerce. and are using “unfair, deceptive & fraudulent business practices….also be sure to include dates of what happened when. Keep me posted on what happens for you. I think more people need to file complaints with these agencies as well. This isn’t a business it is a sham & a scam. I just filed a complaint as well. I read several complaints that were similar to mine and yours on the BBB. did they harass you with letters once you put the stop payment on your card? I will do the same, since I am having similar issues…thank you for sharing! This company is a scheme they have horrible customer service!!! I became a vip and was told that I would get an email and my representative would get an email before a shipment was made. In between shipments I have ordered several products. Then I get a shipment – I was not notified nor was their rep who I signed up under. They said I could ship it back but I would have to pay for shipping â€”- Iâ€™m like what??? You never emailed me??? Nor emailed my rep??? So I could put off the shipment!!! I said well I will keep it but you are offering a special today with a shipment for $20 can I get that?? They said NO!!! So their scheme is to get you to sign up, they will tell you that they will send you an email before your shipment so you can reschedule only they do not so they ship to you and you have to pay for it!!! This is not a good company do not get caught up in this scheme!! I am a VIP flexship member. Monat is an excellent product, and my representative is a very hard working and wonderful person. Although the product is legit and I am happy with the results I’m experiencing, the customer service end is an absolute nightmare. On the membership dashboard, it allows us to change our flexship date and gives us one day prior to shipping to change it. I changed it two days before shipping and I still got my package. I received my package on a Saturday, but returned it first thing the following Monday morning. I then called the company too see if I can get refunded the $20 shipping fee, since I received that month’s shipment due to no fault of my own. They were completely rude and told me they couldn’t, and gave me some nonsense runaround about manufacturing by a certain date…ok, great, but I did everything I was supposed to on the customer end. I was so furious I told them I wanted to cancel, but they were again very rude and said I’d have to pay a fee for cancellation if I didn’t fulfill the three VIP shipments in a year. I’m about to put a stop on my credit card. They also said they’d refund the $84 for that last shipment. It has been a month, and I still haven’t seen the refund on my card statement. I will never, ever purchase anything from a company that degrades and bullies their customers, no matter how great the product is. If you are an existing vip customer shipping is free. Before returning products you must call support or contacted sponsor for details. You are not obligated to 3 flex ships in a years time. Flex ship can be pushed out in 2 month increments for as long as you need to . Also your sponsor should have informed you of flex ship facts . I signed up as a vip last June and had second thoughts afterwards. I used the products I received for a few weeks and loved them, but got cold feet about the future flexship orders and wasn’t impressed with the person that signed me up so I decided to cancel. I sent my products back within the 30 day free return window and received my refund right away. The person I talked to on the phone from the company was very nice and helpful. They told me I can rejoin Monat at any time I’d like and I could even change my up line Market Partner if I like…. Meanwhile, I have been buying the product on ebay and have totally loved it. I believe I will be joining monat again soon, since the price would probably be cheaper and you get free items in the flexship orders. Sandy, i am so sorry you couldnâ€™t relate to your upline but I totally get it! Mine quite after the first month after trying to juggle 2 MLNs at the same time. Would love to chat sometime via messenger.